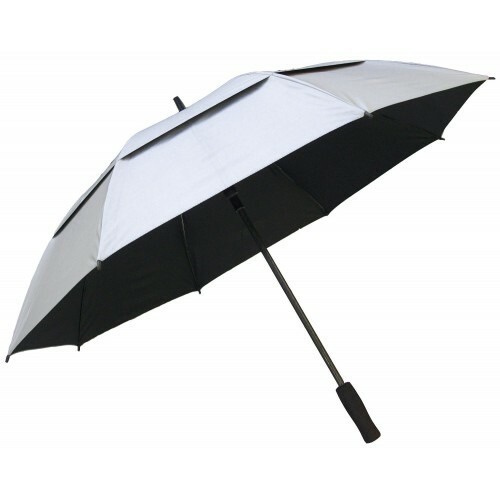 This RainStoppers 50 Auto Open, Windbuster, ladies golf umbrella is constructed with fiberglass shaft and ribs for maximum stability. Silver outer canopy with colored under canopy make this umbrella stand out from the rest. Windbuster technology allows wind to pass through the umbrella canopy in high wind situations. 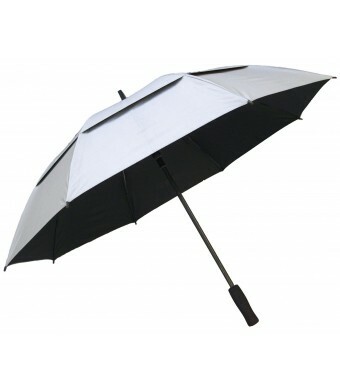 Auto open feature makes it easy to open this umbrella with one hand. Canopy is silver coated 190T Pongee fabric. Complete with a non slip foam rubber handle. Matching silver sleeve with strap included. Length when closed is 33.